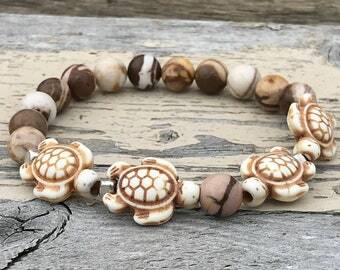 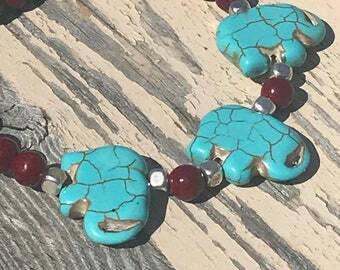 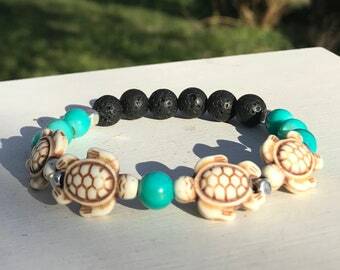 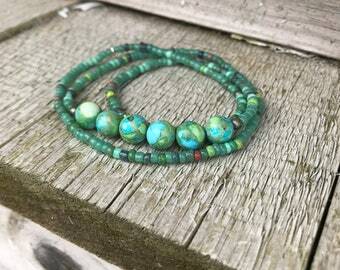 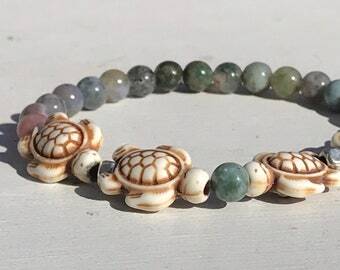 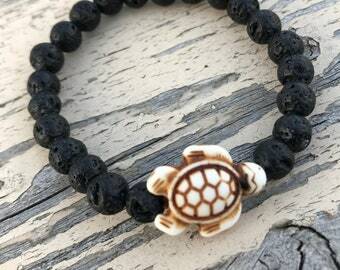 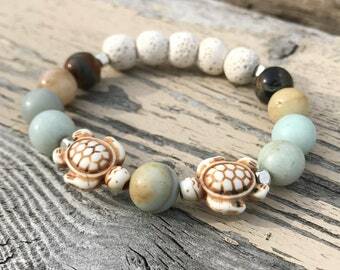 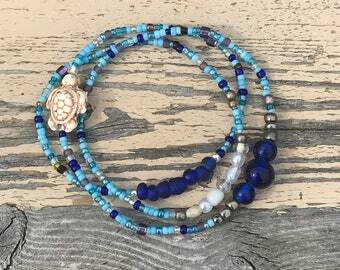 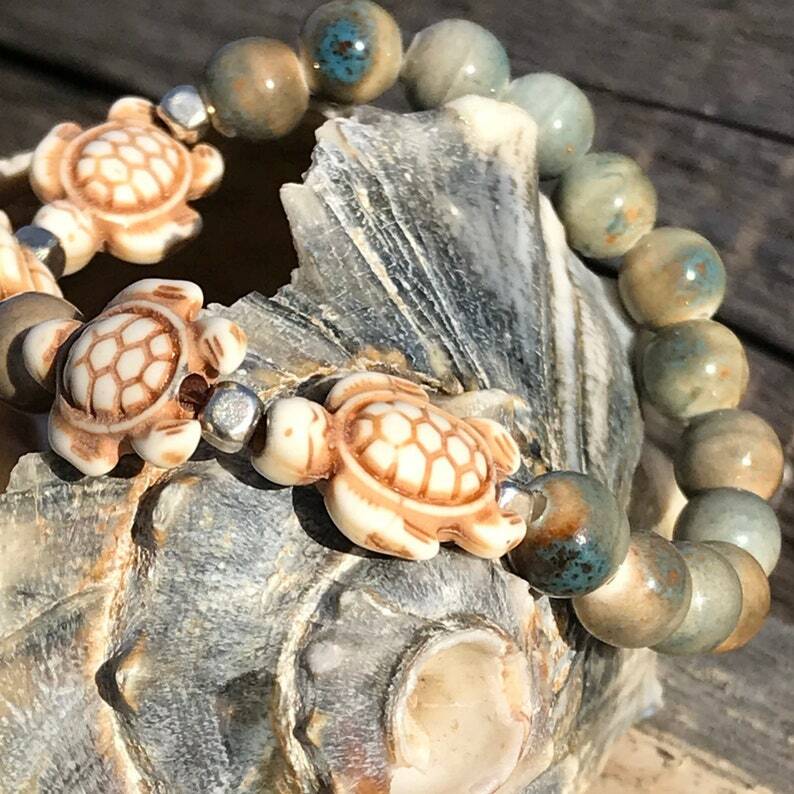 Adorable Sea Turtles and sea foam blue-green and grayish brown ceramic beads on strong crystal thread with silver glass accent beads. 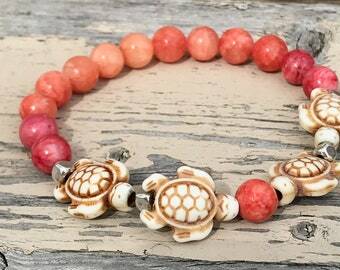 Bracelet measures 7.5" and because it is stretchy will fit a variety of wrist sizes. 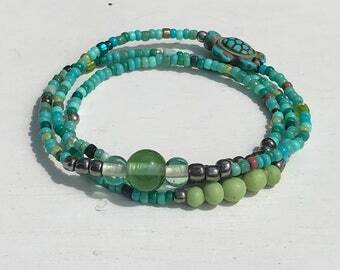 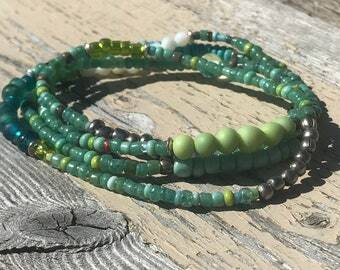 My wrist measures 6.5" and this bracelet fits perfectly with plenty of room to move like a bangle, without the risk of falling off, and the comfort of not being too tight.